Shaming, punishing and forcing heroin users into treatment doesn’t work, says Maia Szalavitz, a former addict and author of a New York Times best-seller that views addiction more like a learning disorder than a moral failing. Maia Szalavitz first tried cocaine at 17, in Jerry Garcia’s hotel room, then became addicted to cocaine and heroin in her late teens and early 20s. She stopped using unprescribed drugs in 1988. 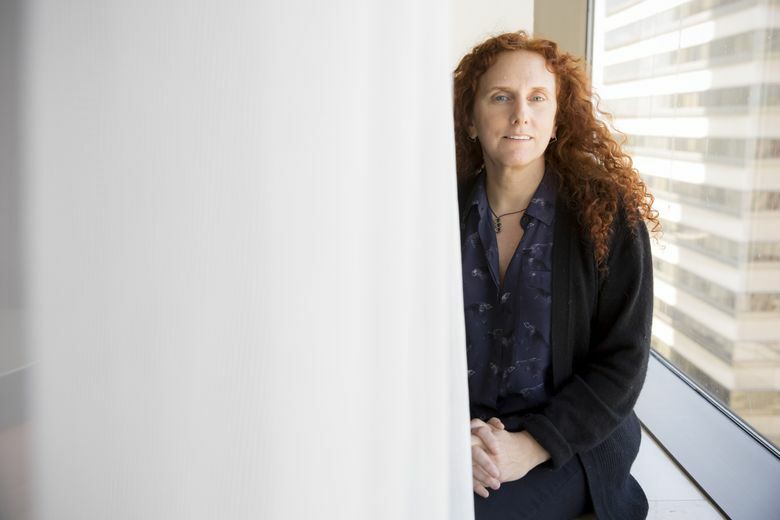 Her latest book, “Unbroken Brain,” has attracted attention for arguing that addiction is more like a learning disorder than a disease or sin and that treatment approaches haven’t caught up with research. As opioid-related deaths rise and King County considers a supervised, safe-injection site, we talked with Szalavitz before she spoke at the annual conference of the National Council for Behavioral Health, in Seattle this week. Q: Why do you say addiction is more like a learning or developmental disorder than a moral failing? A: Learning disorders have a couple characteristics; one is they obviously involve learning. And addiction is defined as compulsive behavior despite negative consequences. Negative consequences is synonymous with punishment. It basically means you’re failing to learn from punishment. So that is a problem with learning. The other thing that happens in learning disorders, they’re usually restricted to a specific sort of brain circuit. Q: Why are young people more vulnerable to addiction? A: Developmental disorders characteristically appear at a certain time in life. Schizophrenia tends to come on in early adulthood and late adolescence. Addiction, similarly adolescence and early adulthood. This tells us something about what circuitry is being affected. In this instance, it’s the circuitry that motivates us to survive and reproduce. Basically, addiction is love gone awry. You fall in love with a drug or activity rather than a person. That is the basis of why I think it’s a learning disorder. It happens because 90 percent of addiction starts in adolescence or your early 20s. When you fall in love it completely changes your priorities and you might do some irrational and not well-advised things to make sure you’ll be with that partner. What happens in addiction is that reprioritization is now aimed at a drug rather than getting a person in your life. Q: You’ve suggested the developing brain in young people is like a strong engine with weak brakes. Q: Why isn’t tough love — whether it’s stigmatizing, arresting, forcing treatment — the best approach to addictions? A: There are two things here. We just said they have no brakes, so punishing them for having no brakes isn’t going to create brakes. Second, we’ve just said addiction is defined as compulsive behavior despite negative consequences. So if negative consequences were going to fix it, it wouldn’t exist in the first place. It’s also cruel and inhumane. The horrifying thing about our addiction-treatment system is we stigmatize and do tough love and put all this pressure on people with addiction who are trying to change and who often want to stop. But then we tell them the way to stop is to go to this center where people are going to scream at you and take away the only thing that gives you any comfort and try to humiliate you. Well, I think I’m going to avoid that and take drugs, thank you very much. Then we blame people with addiction for not wanting to get help. One of the reasons we need to decriminalize all possession and we need to get the criminal-justice system out of forcing people into treatment is because treatment won’t improve until it has to attract its customers. When the customer is the criminal-justice system, it makes it really easy for providers to get away with lousy treatment because the patient is always blamed. They didn’t work the program. They didn’t do the right thing. They’re the ones going to jail. Q: Doesn’t evidence support other approaches? A: There are two medications that are known to cut the death rate by at least 50 percent. These are methadone and buprenorphine, the brand name is Suboxone. And these medications only work if you take them long term. And that means years not months, and it could be for life. Basically these medications give you a steady state in your opioid system. Your natural endogenous opioids in your brain are there to make you feel connected and safe and loved. When you are normally attached to people you will feel endorphins when you are hugging them. What happens when these medications work and you’ve got a person at a regular stable dose is they can drive, they can love, and they can do anything that anybody else can do. But the problem is people confuse addiction with physical dependence and think that because you still need this medication to function you are still addicted. This is not true. If that were true I am a Prozac addict at this moment. I need antidepressants to function comfortably in this world. I don’t think this makes me a worse person than anybody else in this world, and if you want to think that, that’s your problem. That would make people with diabetes insulin addicts. Q: Where does a Safe Injection Facility, which has been proposed in Seattle, fit in treatment? A: Harm reduction is basically the idea that I don’t care if you’re using drugs. We should care that somebody somewhere is at risk of harming themselves or others seriously. That is where government and society should have a role. Safe injection is a great example of harm reduction. Needle-exchange programs were America’s introduction to the concept of harm reduction. For the most part no one wants to share needles because it’s gross, you could get disease, and because if you have a new needle it’s going to be sharper, which means it’s more likely to get the vein, which means you’re more likely to get high. So what turns out to happen is that if you do provide needles, people do change their behavior and New York went from over 50 percent IV drug users infected (with HIV) to 3 percent, and the state calls needle exchange the gold standard of HIV prevention. The other thing about needle exchange that is 100 percent applicable to safe- injection facilities is that when you walk in to a needle exchange and you’re an IV drug-user, this is a place for you. You don’t have to promise you’re going to be abstinent at some point in the future. You don’t have to pray for anything. You just have to show up and people say, “We believe you’re a valuable person who deserves to live.” And that is the most powerful medicine for virtually any psychological or learning problem because people can learn and change when they feel safe and accepted. You have to get creative around this because people are always going to want to change their consciousness, and you can either accept that and try to reduce the harms that could be associated with that, or we can continue banging our heads against the wall and harming people in the process, which is what we’re doing now.